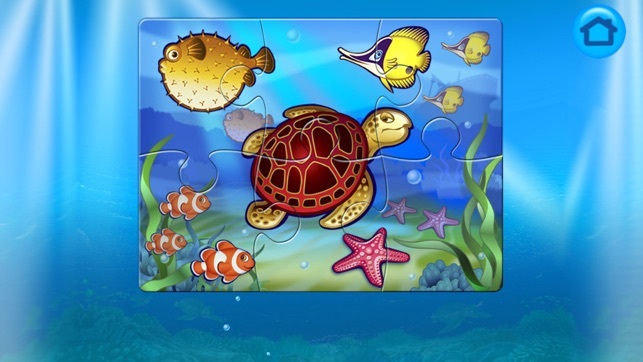 MAGIC SORTER - Sea Tales - 10 in 1 helps develop important cognitive and fine motor skills by dragging & dropping objects to match the silhouettes. With parental assistance it can also develop language skills, for example, by naming the objects, sea animals, shapes and colors. + Unlimited Play! The Fun Never Ends! We take your kids privacy and safety serious. KINDERMATICA is a member of Moms with Apps, a collaborative group of family-friendly developers seeking to promote quality apps for kids and families. My grandson loves these games! He is 2 and a half and has been playing some of them for a year. The games appeal is enhanced by the variety of activities offered. I expect that he will continue to enjoy them for a long time. After I purchased my new iPhone I had some difficulty accessing the games. The developer was very helpful and communicated with suggestions promptly. It took a little while to solve the issue, but they persisted until everything was satisfactory. I received updates every step of the way. 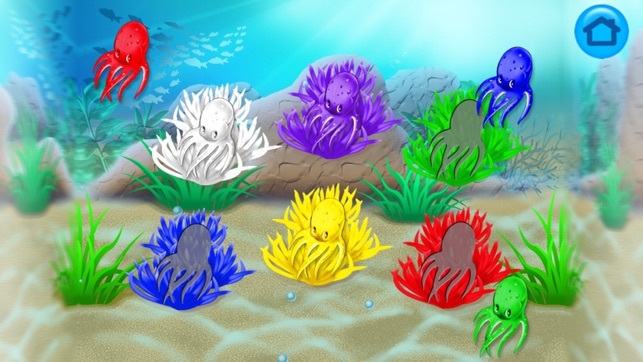 Fun Under the Sea, While Your Kiddo Learns with Magic Sorter! I was so impressed with this app from the second my daughter picked it up! She usually has no attention span, but she does for magic sorter! This app is great for working on a huge variety of basic skills, like counting, colors, pattern, colors, Size comparison, memory, fine motor skills, and others. 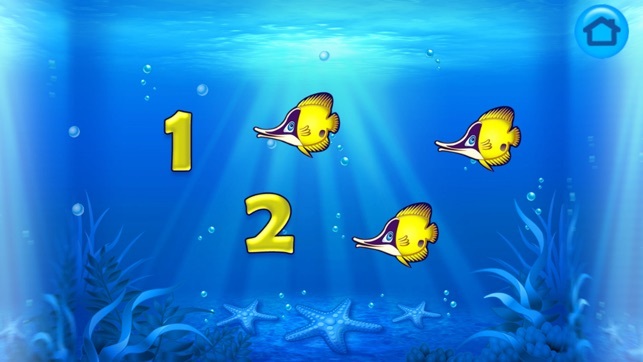 The entertaining animation that happens when your child competes a task really keeps them attentive, as do the colorful and fun ocean design. 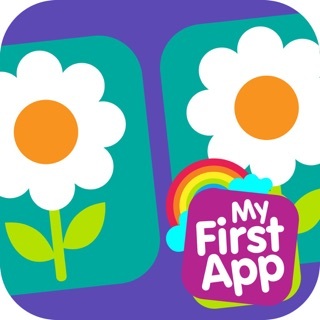 This is the perfect app for preschool aged kids, as well as kids with special needs, like mine. It makes learning fun! 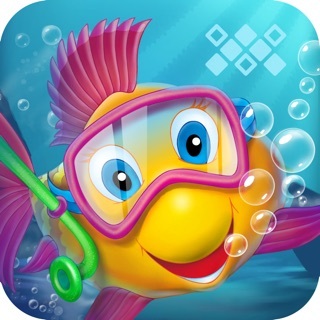 This is a Must Have App or Your Child! 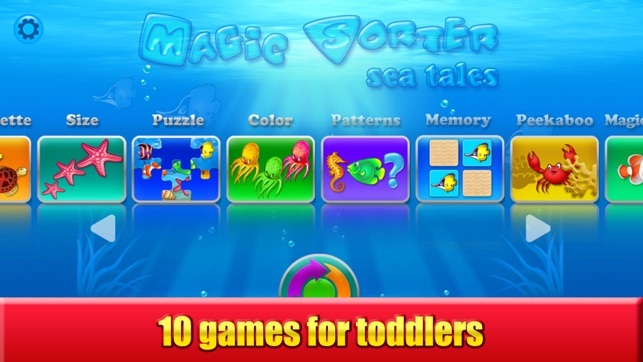 Magic Sorter is a am engaging and fun-filled app for children, with 10 different educational games for kids to play that will keep them entertained or hours and hours! 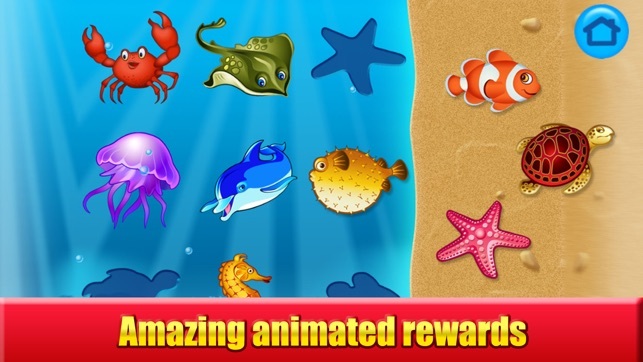 The bright, crisp graphics and the rewarding animation make it so that your child will not even realize they are learning, but they are with ten highly educational games as well as "game mix", which is randomized and provides endless play! This game works on essential skills like colors, size comparison, visual spatial skills, counting, matching, memory, and so much more!